HAND’s training committee is currently working to finalize our 2014-2015 Training Schedule. To make sure you are updated, when course offerings are announced, please email Julie Kieffer to be added to HAND’s distribution list. Many thanks to HAND’s FY14 Sponsors, who offset the costs of HAND’s capacity building sessions. Events are free or discounted to current HAND members. For individuals who are not members of HAND, registration fees for each session are $25 or you can take advantage of our low-cost dues, and join the organization to receive one of the many member benefits: Free and discounted training for you and your entire staff! Our program committee will finalize course content closer to the scheduled date, which allows HAND to offer timely topics and speakers covering issues that impact our work. If you have suggestions for topics to incorporate in HAND’s capacity building sessions, please email Heather Raspberry. Many thanks to Wells Fargo and Enterprise Community Partners for sponsoring this session! Join HAND for Construction Project Management: on Wednesday, October 29 from 8:30 AM – 4:30 PM at the Silver Spring Civic Center, 8525 Fenton Street, Silver Spring, MD. Successful project management requires advanced planning and effective communication among a team that understands their roles. The goal of this course is to elevate construction managers to use powerful tools to manage development teams, incorporate design concerns, execute valid contracts, control costs and keep the job moving. Targeted to development directors, production managers, construction managers and senior rehab specialists, participants will review four alternative construction delivery approaches to Design-Bid-Build. This Programming Guide will keep the teams’ architectural expectations in sync and the bid analysis exercise will show you why more is better. Finally, participants will learn how to keep their projects on time, under budget and per spec. Attendees will receive a toolkit that includes: A Multifamily Design Standards Manual; Programming Checklist; the Design Advisor tool; RFQ 12 step system with nine template documents and six other documents. This session will be taught by Robert Santucci of Urban Renovation Consultants, Inc. The cost to attend is $50 for HAND Members; $100 for Nonmembers. Many thanks to Enterprise Community Partners and Virginia Housing Development Authority for sponsoring this session! HAND is excited to host Asset Management: 1 Day “Toolkit” Overview, on Thursday, October 31 from 8:30 AM – 4: 30 PM at the Silver Spring Civic Center, 8525 Fenton Street, Silver Spring, MD. Local assessments indicate that 50% of community development portfolios have serious asset management shortfalls. Developers need to quantify and assess their situation, make future projections, evaluate alternatives and develop strategic short- and long-term action plans to extend the life of their assets. Owners, property managers, and asset managers with portfolios containing at least 30 units and up to 2000 units should attend this session to learn the following topics: Asset versus property management; benchmarking and risk analysis; CNAs; and asset management policy. Attendees will receive a toolkit that includes an extensive Excel spreadsheet to capture and project capital needs reserves; benchmarking templates; risk ranking templates; asset management plan format and two asset management examples. This session will be taught by Robert Santucci of Urban Renovation Consultants, Inc. The cost to attend is $50 for HAND Members; $100 for Nonmembers. Many thanks to Maryland Department of Housing and Community Development for sponsoring this session! Due to the government closing, this session is postponed until March 2014. Come out and mingle with colleagues over hors d’oeuvres and cocktails while celebrating the dynamic impact HAND members are making to create vibrant, thriving communities across the metropolitan region! Join HAND & Washington Regional Association of Grantmakers (WRAG) for a panel discussion on foundation support of local affordable housing organizations, projects, and services. They will also discuss what the future holds regarding philanthropic participation in the development of affordable housing.Panelists will include: Karen FitzGerald, Senior Program Officer, The Eugene and Agnes E. Meyer Foundation; Gretchen Greiner-Lott, Vice President, Washington Regional Association of Grantmakers; Diana Meyer, State Director for Community Development, Citi Community Development; and Alison McWilliams, Executive Director, Naomi & Nehemiah Cohen Foundation. Continental Breakfast will be served. Registration will begin at 8:30 AM, and the program will begin at 9:00 AM. The metropolitan region is experiencing tremendous population growth, and as a result there is a need for conversation around the impact that growth will have on the need for housing and jobs. The meeting will kick off with a presentation from Dr. Lisa Sturtevant of The National Housing Conference Center for Housing Policy and Jeanette Chapman of George Mason University Center for Regional Analysis detailing the current state of the Washington area economy, trends in regional housing market and affordability, and policy implications for local governments. Moderated by Nancy Rase of Homes for America, the second half of the meeting will include a panel offering perspectives from nonprofit and for profit developers, including Christopher LoPiano, Community Preservation and Development Corporation; Scott Kline, NHT/Enterprise Preservation Corporation; and Jim Campbell, Somerset Development Company. Don’t miss your opportunity to gain valuable information and insights on the future of our industry. Lunch will be served. Many thanks to Enterprise Community Partners for sponsoring this session! Join HAND for a two-panel session exploring recent events and developing trends in the Low Income Housing Tax Credit. Learn how your next deal may be affected by potential tax reform, shifting budget priorities, and emerging legal and policy developments on Capitol Hill and from state allocating agencies. Next, gain insights and reactions from the financiers with a panel of syndicators and their assessment of these developments and others on the affordable housing market and the Low Income Housing Tax Credit. 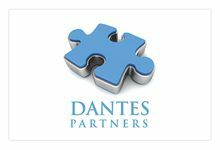 Thank you to Dantes Partners for sponsoring this session! The U.S. Department of Housing & Urban Development and HAND are excited to host our first joint meeting , “HUD Updates Specific to the Metropolitan Region,” on March 26, 2014 from 12:00 PM – 6 PM at HUD Headquarters, 451 7th Street SW, Washington, DC. The half-day symposium will serve as a great opportunity to engage in a meaningful dialogue with HUD leadership on programs that directly impact the work of HAND members. Topics that will be covered on the program include: FY 2015 Budget Brief; Multifamily Housing Development Pipeline; Asset Management / Preservation / Handbook Overview; Updates on HOME, CDBG, RAD, and Choice Neighborhoods; Disparate Impact and much more! Registration will begin at 12 PM to allow ample time for members to be cleared through *security. The Program will begin at 1 PM and a Networking Reception will follow at 5 PM. Refreshments will be served. *Important Details Regarding Security: All attendees are required to register in advanced of the Symposium using the link above. On March 26, 2014, all attendees are required to check-in with HUD security using a government issued identification. Registration will open at Noon, and we strongly encourage attendees to arrive early to ensure you have ample time to check-in before the program starts at 1 PM. Thank you to Wiencek+Associate Architects+Planners and VHDA for sponsoring this session! Please join the Community Development Network of Maryland (CDN), HAND and several other host organizations for a Gubernatorial Forum. This is a unique opportunity to hear from the candidates who want to be Maryland’s next Governor share their views on a wide range of issues related to community development including, but not limited to: affordable housing, homelessness, mainstreets, poverty, how community development creates jobs and opportunities, and the state’s role in community development. All candidates listed on the Maryland State Board of Elections website have been invited and the following are confirmed: Anthony Brown (D), Doug Gansler (D), Charles Lollar (R), Heather Mizeur (D), and Cindy Walsh (D). For more information on this forum or to register, follow this link. Join us for a recap of the FY 2015 District of Columbia, and the Maryland and Virginia state budgets, as well as a look toward issues that will be in important in the next budget and legislative sessions in these jurisdictions. Angie Rodgers, Principal, Peoples Consulting will moderate the following panel: Melissa Bondi, Director – Nonprofit Virginia, a project of the Nonprofit Roundtable of Greater Washington; Benjamin Orr – Director, Maryland Center on Economic Policy; and Jenny Reed – Policy Director, DC Fiscal Policy Institute. Our panelists will discuss the DC and state budgets overall, with a particular focus on housing and related services. Continental Breakfast will be served. 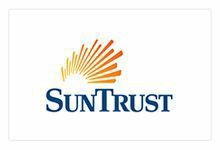 Many thanks to SunTrust for sponsoring this session! Join HAND for a two-panel session exploring disposition strategies for Low Income Housing Tax Credit deals that have reached the end of their 15-Year compliance period. This half day session will start with a wide focus on the industry and trends for the nearly 80,000 units nationwide that hit year 15 annually, then move through the key components in developing, revising, and executing your Year 15 Exit Strategy, and wrap up with a ‘show & tell’ of battle stories, scars, and successes from a panel of nonprofits. Erik T. Hoffman, Klein Hornig –“… read something that you can’t understand, … be sure that it was drawn up by a lawyer.” Peeking into the LPA, ROFR, & EUA. Next, gain insights and reactions from developers who will share their experiences working on Year 15 deals. 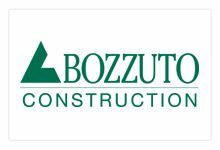 Many thanks to Bozzuto for sponsoring this session!